The University of New Mexico is a member of a team that has signed a formal agreement to bid jointly to manage Albuquerque-based Sandia National Laboratories. The announcement was made today at a press conference at UNM. UNM is a member of the team led by Battelle and The Boeing Company, along with The Texas A&M University System and the University of Texas System. The U.S. Department of Energy’s National Nuclear Security Administration has initiated a competition for the contract to manage and operate Sandia National Laboratories, which also has a laboratory in Livermore, California. Sandia is a federally-funded research and development center responsible for non-nuclear engineering development of all U.S. nuclear weapons and for systems integration of the nuclear weapons with their delivery vehicles. A contract decision is anticipated by the end of this year. Currently, more than 2,400 UNM graduates are employed at Sandia. Joseph L. Cecchi, dean of the UNM School of Engineering and associate provost for national laboratory relations, said that having UNM on the management team will strengthen and expand the research already taking place between the insitututions. Battelle, headquartered in Columbus, Ohio, serves the national security, health and life sciences, and energy and environmental industries and is the world’s largest independent nonprofit research and development organization. 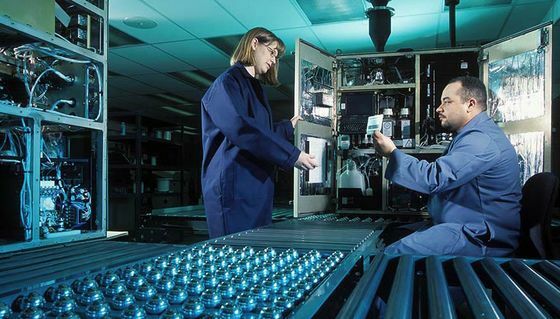 Since its founding in 1929, Battelle has been serving the national security, health and life sciences, and energy and environmental industries. The Boeing Company is the world's largest aerospace company and leading manufacturer of commercial jetliners and defense, space and security systems. The University of New Mexico, the Texas A&M University System, and the University of Texas System will ensure that Sandia science, technology and engineering capabilities are sustained, enhanced and nurtured. The team will create new collaborative research programs with Sandia and develop stronger ties with New Mexico’s colleges and universities. 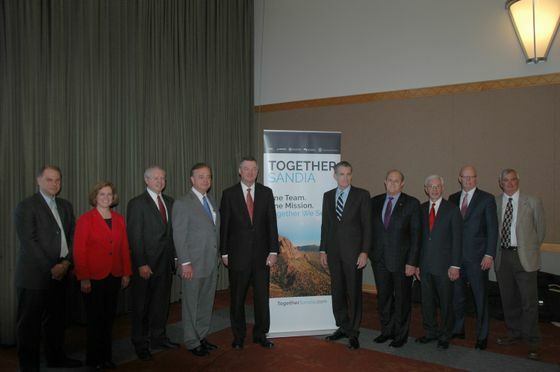 Members from the Together Sandia team. The Texas A&M University System, which will lead the Texas Research and Education Partnership that includes the University of Texas System, is one of the largest systems of higher education in the nation with a statewide network of 11 universities and seven state agencies. 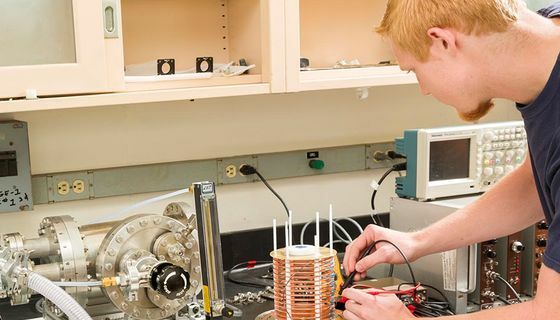 A student at The University of New Mexico works in a laboratory at the School of Engineering. The University of Texas System is the second-largest public university system in the nation with an enrollment of 217,000 students across 14 institutions. The UT System has a long-standing relationship with Sandia National Laboratories and has worked closely with the Labs to supply the skilled scientists and engineers needed to support Sandia’s mission and on numerous science and engineering projects that are important to the nation’s security. The team has an office in Albuquerque at 4411 The 25 Way NE, Suite 350. Sandia employees and the community are invited to visit the office to learn more about the team. Additional information can be found at TogetherSandia.